I often wondered what makes some people’s teeth really white. Well, I learnt some people were born with perfect sets of teeth while some had to maintain it and even go the extra mile by doing more to ensure their teeth remained white. I hear people say they have appointments with their dentist so they can whiten their teeth; I don’t really know the tools or substances they use but it is absolutely possible to make your teeth whiter than it looks by using natural methods. It can be quite embarrassing sometimes when you smile and all people see are yellow stains or a set of teeth that do not look appealing. Why not save yourself the social trauma by applying natural methods to make your teeth look nice. Are you ready to know how this works? 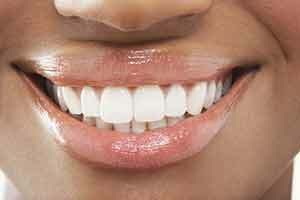 Okay, so here are the ways to naturally whiten your teeth. Do you know how effective this can be on your teeth? This mixture combo is one sure natural way you can make those teeth of yours white. What do these two contain? Baking soda is alkaline in nature while lemon is acidic in nature so mixing them together creates a balance that enables them to function well together. To use baking soda and lemon juice, just put some quantities of baking soda on your toothbrush and squeeze some lemon juice also on your toothbrush and brush your teeth with it. Do not use this too frequently. Doing it at least once in a week is OK. This liquid when used can make your teeth white in a short while. This is because it contains a bleaching agent that works wonders on your set of teeth. Do not allow it to stay too long in your mouth because it can affect your gums. Clean your teeth with it, and rinse off with water. Do this at least once or twice a week. This, when used consistently, can give you the whiteness you are looking for in your teeth. If you do this continuously, you will notice changes in your teeth. Aside from the fact that turmeric is perfect for removing stains on your teeth, it is highly medicinal. This liquid substance is one product you can apply on your teeth because it has acetic acid that helps get rid of plaques on teeth. You should do this consistently for one month and I am sure you will notice changes in your teeth. This sounds funny, right? But it does work. What is required are a few strawberries, mash them well, add few drops of lemon to it and use it to brush your teeth. This combination is good because strawberries have antioxidants that will help strengthen your teeth. Baking soda can either be mixed with hydrogen peroxide or with strawberry or with lemon juice. I hope you enjoy these methods while whitening your teeth and wish you well in this teeth whitening journey!